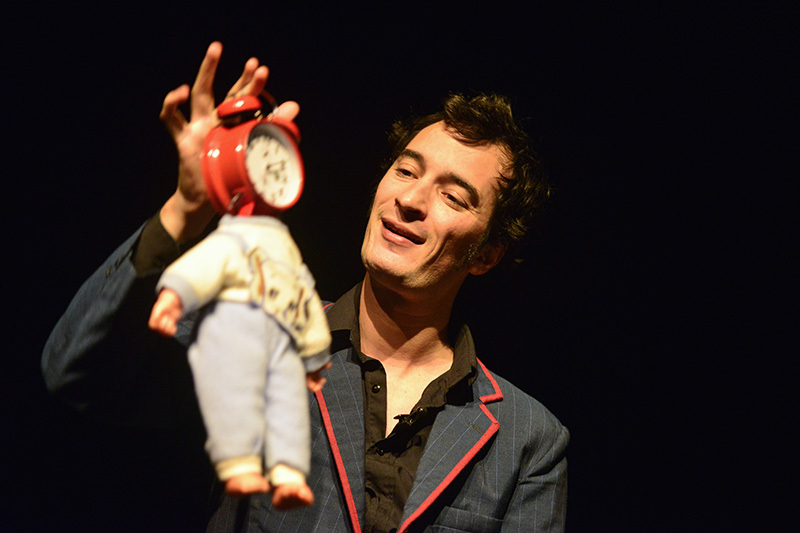 An extraordinary show that brings together pantomime and object theatre. 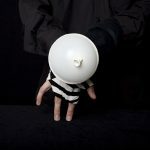 Seven poetic and comical stories with no connexion between them are presented in the most sensitive way. 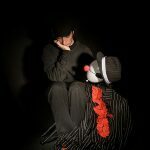 The puppets are made from ordinary everyday objects such a balloons, ping pong balls, plastic bags and parts of the puppeteer´s body that come to life and have their own dreams and aspirations. 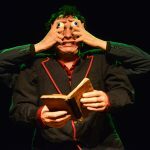 He is a co-founding member of the company “Teatro dos Mundos and the company “La Santa Rodilla” which has participated in many festival in Europe and Latin America. 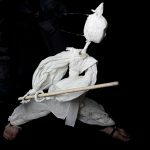 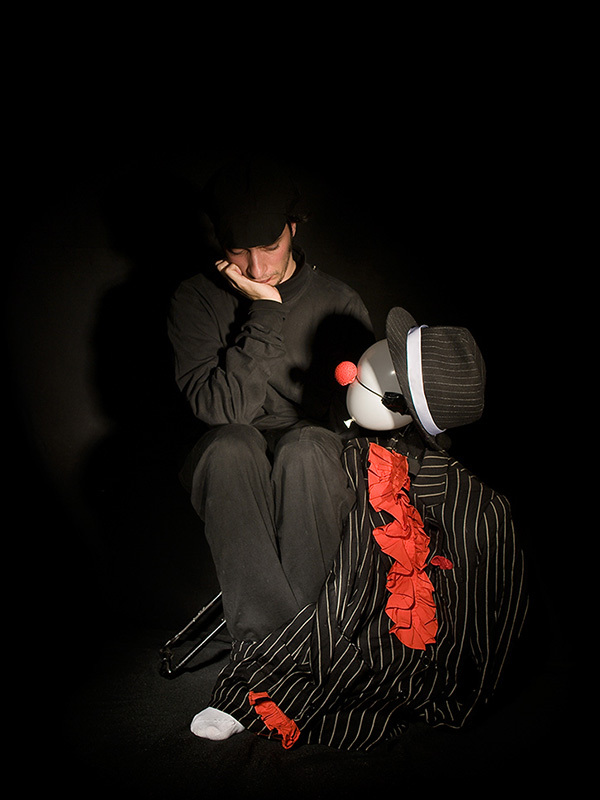 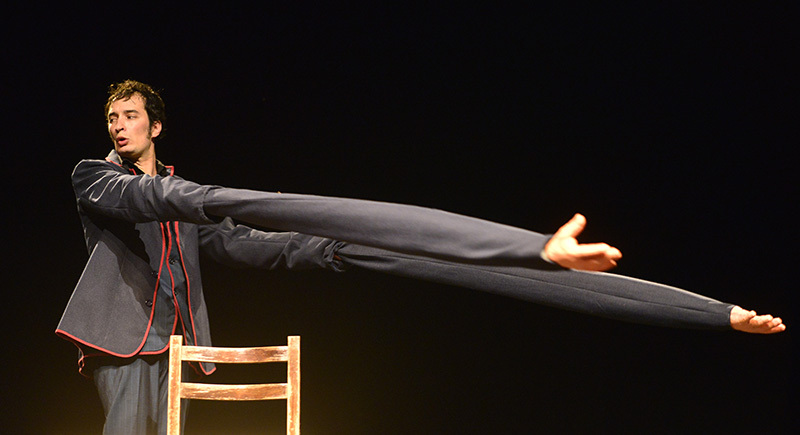 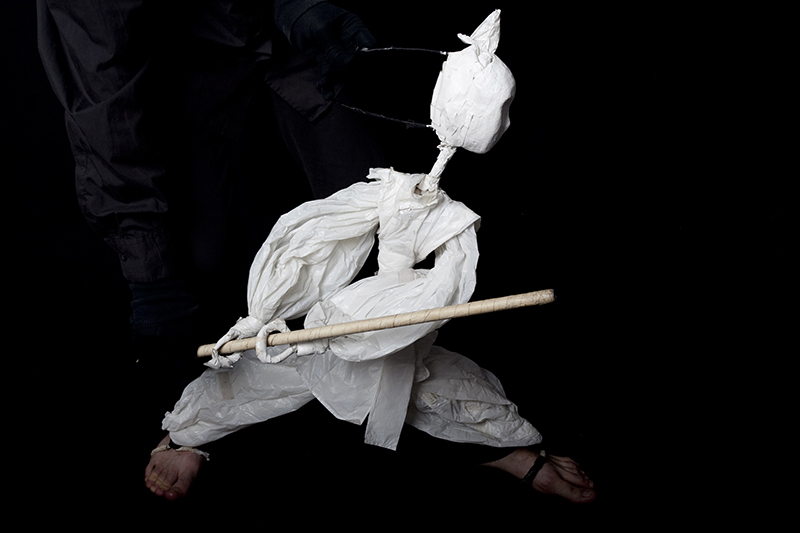 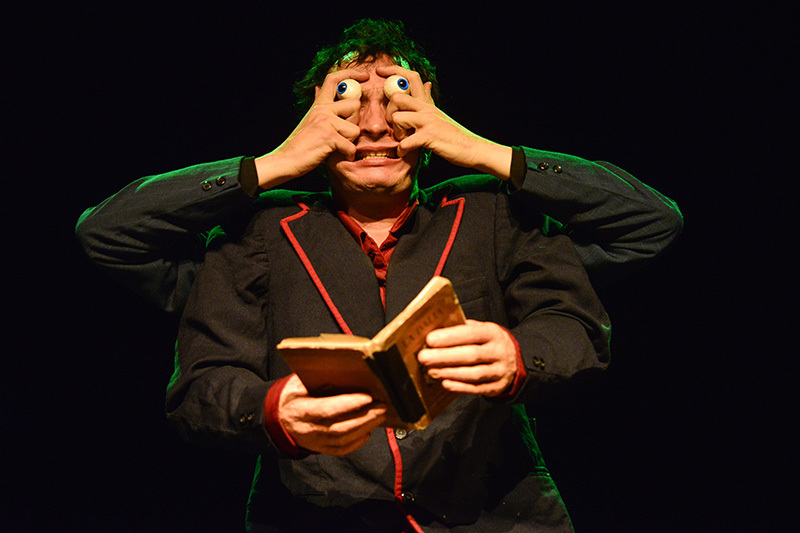 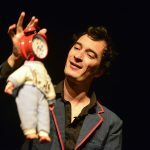 He is currently touring solo with his show “Criaturas Particulares”, which he has performed in more than 30 international festivals, winning with it the Drac d’or 2012 prize in the Fira Internacional de Titelles de Lleida (International Puppet Fair of Lleida) (Spain and numerous other awards. 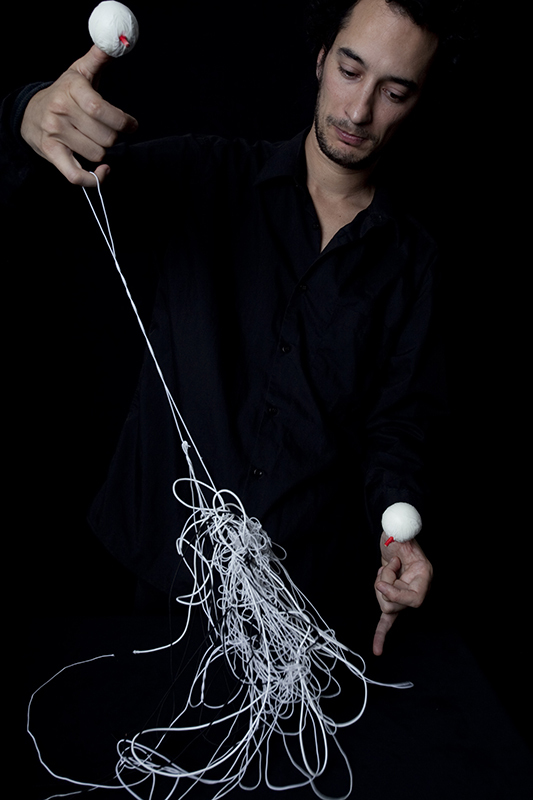 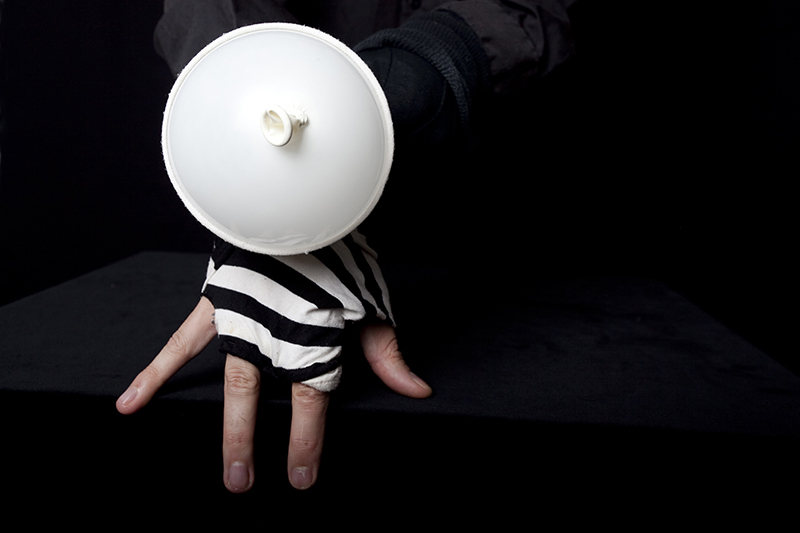 Always offering a fresh, entertaining and contemporary vision of object theatre, Roberto White also gives courses on “Técnica de los títeres corporales” (Body Puppet technique).